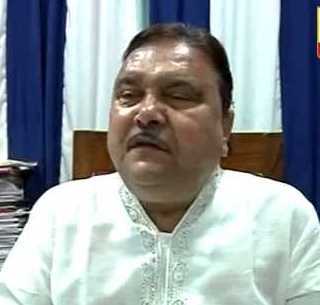 After Rajya Sabha MPs Kunal Ghosh and MP Srinjoy Bose, it’s the turn of another Trinamool Congress leader and West Bengal Transport Minister Madan Mitra to land in CBI net in connection with the Saradha chit fund scam. Mitra, who had appeared before the CBI on December 12, was taken into custody. Madan Mitra was the second state minister to be grilled by the CBI. Earlier Textile Minister Shyamapada Mukherjee was questioned in connection with the chit fund scam. Soon after Mitra’s arrest, Chief Minister Mamata Banerjee hit back at the BJP government at the centre, saying it is misusing the CBI to seek revenge on her. Mamata blamed Modi and Amit Shah for the crackdown on Trinamool Congress leaders and dared the Prime Minister to arrest her. ‘BJP is doing goondagardi. We won’t tolerate it. We will take the matter to people’s court in Delhi and West Bengal,” she said. Meanwhile, the BJP and CPM have sought Mamata Banerjee’s resignation, saying she has failed to protect the interests of common people and fulfill their aspirations.